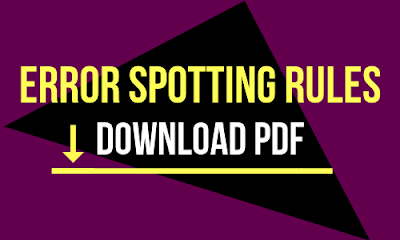 This PDF contains the list of 50 most important rules used in Error Spotting Section of Various Competitive Exams like IBPS PO, RBI Assistant, SBI PO/Clerk and other competitive exams. The PDF contains 10 words from The Hindu newspaper with the graphic explanation, meaning, example and synonyms. This is printable and a quiz of 5 to 10 questions is incorporated with every PDF for practice. So far, we have covered Vocabulary Made Easy up to 13 Days. The PDF contains 10 Idioms with the graphic explanation, meaning, and example.. This is printable and a quiz of 5 to 10 questions is incorporated with every PDF for practice. So far, we have covered 100 Idioms. A video lecture for the same topic will be provided for the same along with the practice questions important from the point of view of various exams. This section is considered to most difficult and also an integral part of all banking competitive exams. To make it easy for you, we will provide you video lectures ranging from easy Reading Comprehension Passage to High-Level Passages along with practice sets to brush up your learning and enhance your skills. This section will cover a variety of error spotting questions starting with error spotting questions based on grammar topics. Levels to be covered here will be Easy-Moderate-Difficult. Each video lesson will have at least 20 questions along with 10 practice questions for the learners.